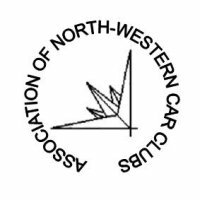 Longton & District Motor Club is based in Preston, Lancashire and organises the Longton’s Northern Speed Championship – the Best Speed Event Championship in the north of England. The circuits, Wigan Three Sisters in Lancashire, the excellent Anglesey Circuit and Blyton Park, give us 7 different track layouts for the events we organise. Together with the other events and venues that comprise the Championship, we offer our competitors the most challenging and varied season of local motor sport. We are always looking for ways to improve and promote the running of the club and would welcome comments from anyone regarding any changes we can make. We meet most Monday evenings at the Lonsdale Club in Preston so come along to see what we are all about, newcomers are always welcome. You don’t even need to be interested in competing we are always on the lookout for volunteers to help in the organisation and running of the events.